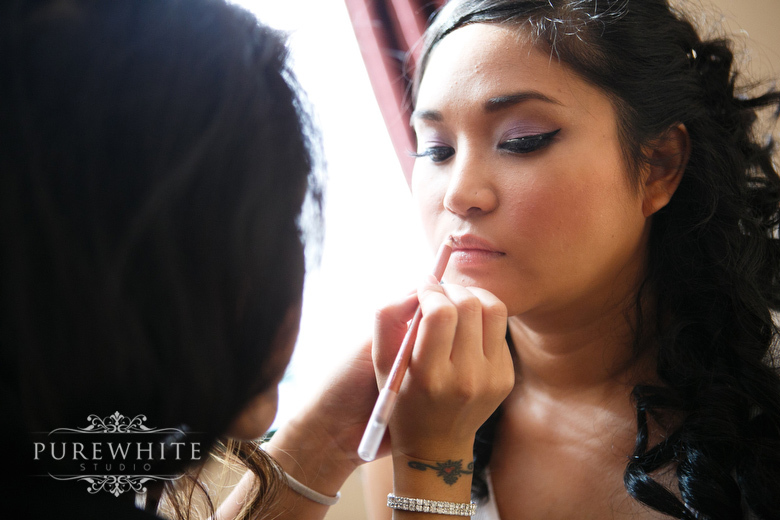 Jenny and Mervin's wedding took place at the beautiful Swan-E-Set Bay Resort and Country Club. From riding golf carts to singing and dance performances, every last detail of this wedding was unique. His favorite color is green. Her favorite color is purple. And together, the vibrant colors of greens and rich purples were a perfect harmony for their wedding theme! 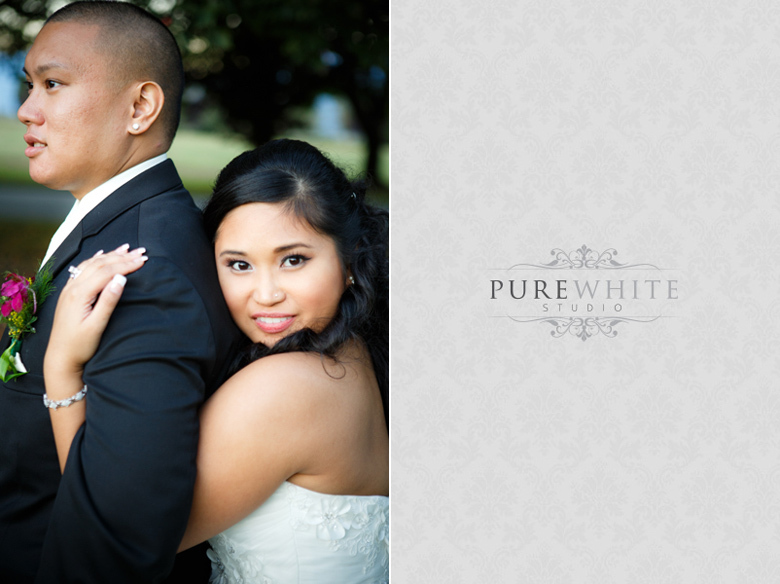 We had a wonderful time...Thank you, Jenny and Mervin, for allowing us to be a part of your very special day! 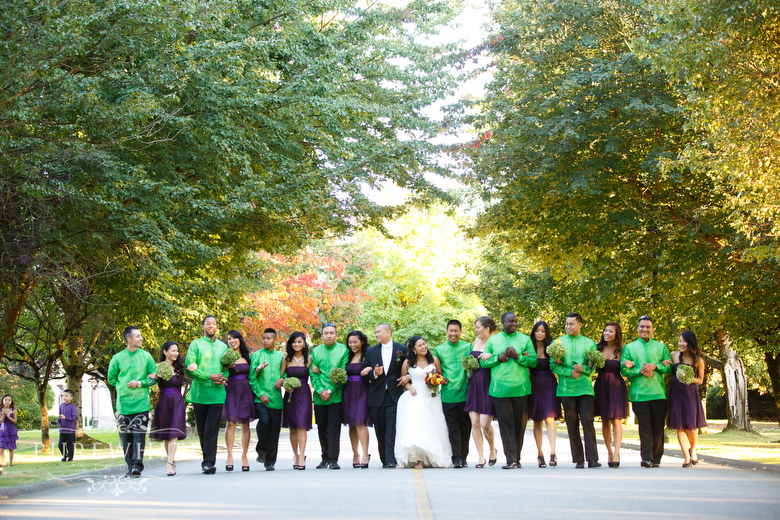 The Groomsmen wore bright green barong tagalog shirts to complement the purples. And who needs limos when you can ride around in golf carts? Beautiful satin purple heels and rich colors of blossoms paired with a gorgeous Bella Sposa Bridal gown. The exterior of the Swaneset Bay Resort & Country Club was perfect for a photo op - we captured some amazing shots of Jenny and her Bridesmaids! Loved the green Hydrendias. Jenny did a great job with picking out the perfectly unique bouquets for her Bridesmaids. Loved the matching fans as well! Upon entering the ceremony, we couldn't help but notice the sixty foot wall with floor to ceiling windows. What a spectacular view! The interior of the Grand Ballroom was as beautiful as the exterior. Scouting perfect locations around the venue, we had tons of fun shooting the entire bridal party! 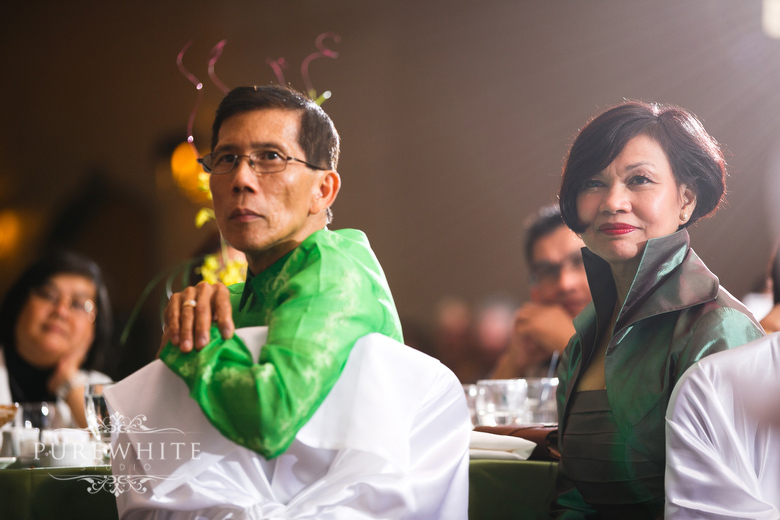 Jenny and Mervin sure knew how to work the crowd with their grand entrance! 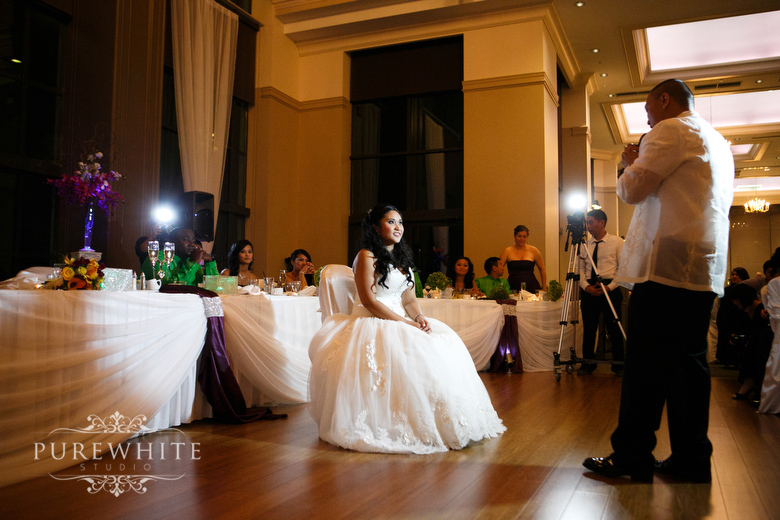 How sweet of Mervin, to serenade to his Bride...and a good singer he was! Just as surprised as the Groom was, we thoroughly enjoyed the singing and dancing performance from the Jenny and her Bridesmaids. Her Flower Girl was so adorable! 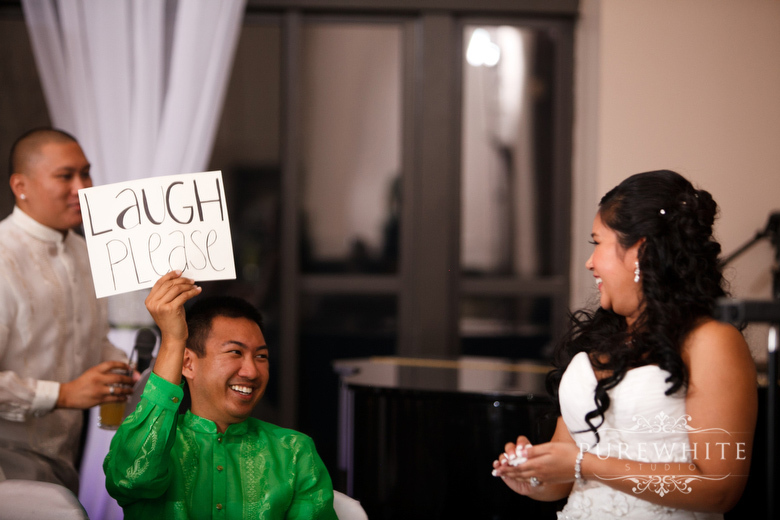 And to top of the night, we captured one of our favourite photos of Jenny and Mervin. Check out more of our favourite highlights below! Many thanks to all the vendors who made their day extra special!